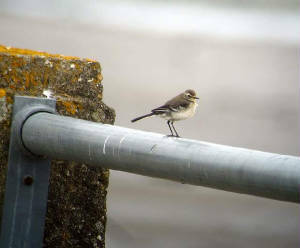 DUNGARVAN: Juvenile/1st-winter CITRINE WAGTAIL still showing very well at Abbeyside; 3 Red-throated Divers & 2 Black Guillemots off Ballynacourty pier. 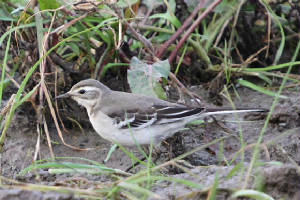 DUNGARVAN: Juvenile/1st-winter CITRINE WAGTAIL still present near Abbeyside prom. 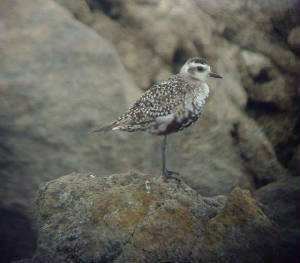 CLONEA STRAND: Adult AMERICAN GOLDEN PLOVER still present. 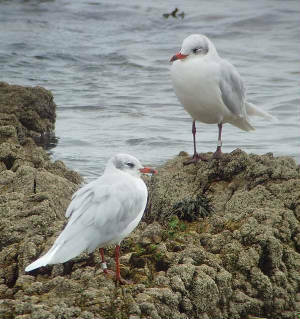 ARDMORE: 2 adult Mediterranean Gulls, both Belgian-ringed (metal rings). 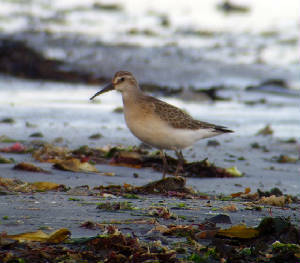 TRAMORE BACKSTRAND: Whimbrel at Clohernagh. 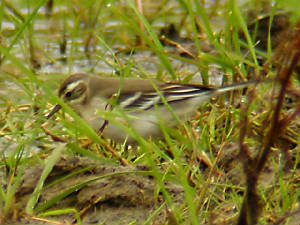 DUNGARVAN: Juvenile/1st-winter CITRINE WAGTAIL near Abbeyside prom, in flooded field - 1st county record. 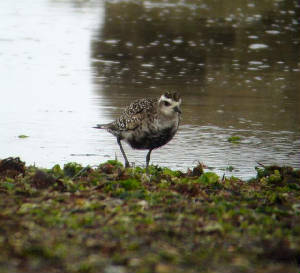 CLONEA STRAND: Adult AMERICAN GOLDEN PLOVER again at Ballinclamper, also a Whimbrel. 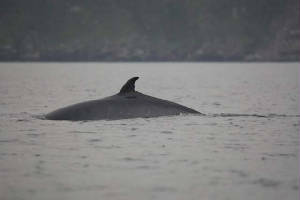 HELVICK HEAD to ARDMORE: 6 Great Skuas, a Storm Petrel, 2 Puffins, a Minke Whale & a Basking Shark. 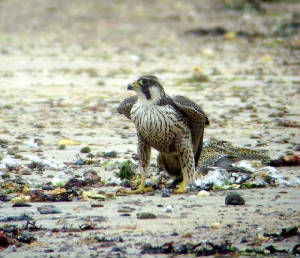 BROWNSTOWN HEAD: Merlin, male Blackcap, 8 Chiffchaffs & 10+ Lesser Redpolls. WATERFORD CITY: Hummingbird Hawk-moth in WIT grounds. 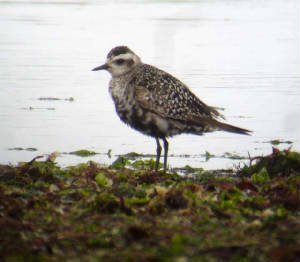 CLONEA STRAND: Adult AMERICAN GOLDEN PLOVER present again at Ballinclamper (its 6th day), also an adult summer Great Northern Diver offshore. 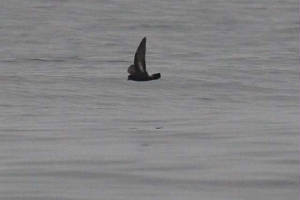 CLONEA STRAND: Adult AMERICAN GOLDEN PLOVER present again, 2 Balearic Shearwaters & 2 Great Skuas offshore. HELVICK HEAD: 8 Chiffchaffs & 2 Blackcaps. DUNGARVAN: 68 Brent Geese at the Cunnigar. CLONEA STRAND: Adult AMERICAN GOLDEN PLOVER, Whimbrel & 230 Turnstone at Ballinclamper, 3 Balearic Shearwaters feeding offshore with Manx Shearwaters. 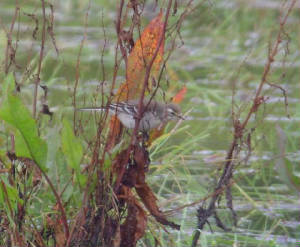 BALLYVOYLE: 8 Chiffchaffs & 2 Blackcaps. 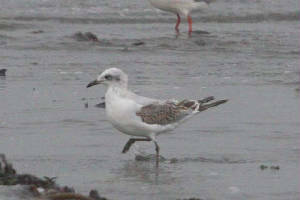 CLONEA STRAND: Adult AMERICAN GOLDEN PLOVER & 1st-winter Mediterranean Gull at Ballinclamper. 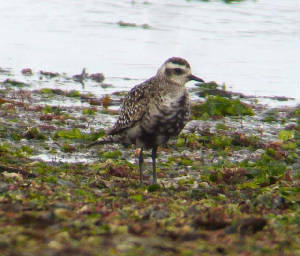 CLONEA STRAND: Moulting adult AMERICAN GOLDEN PLOVER again present, opposite Clonea Hotel; juvenile Ruff, Whimbrel & 120 Turnstone at Ballinclamper; 3 Balearic Shearwaters feeding offshore with 80+ Manx; 2 Whimbrel at Ballinard. 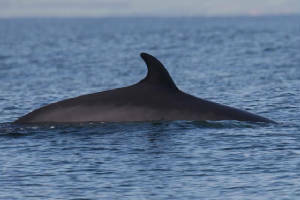 RAM HEAD: 100 Common Dolphins & 8 Porpoises. 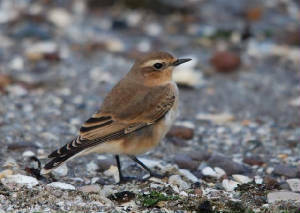 BROWNSTOWN HEAD: 12 Wheatears, 2 Spotted Flycatchers, Whitethroat, 3Willow Warbler, 6+ Chiffchaffs, Siskin & 2 Redpolls. WATERFORD CITY: Chiffchaff at Francis Street, nr Ballybricken. 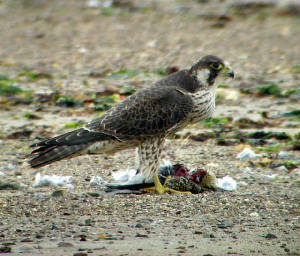 CLONEA STRAND: Moulting adult AMERICAN GOLDEN PLOVER (3rd county record), juvenile Ruff, 12 White Wagtails, 3 Mediterranean Gulls (2 adults & a 1st-winter), 2 Whimbrel & 2 male Blackcaps at Ballinclamper; 5 Balearic Shearwaters feeding offshore there with 360+ Manx Shearwaters. 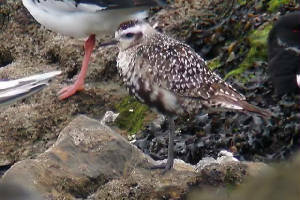 A colour-ringed juvenile Greenshank seen at Ballinclamper today (black over blue right leg, orange over lime-green left leg) had been ringed at Montrose Basin, NE Scotland on 22 August. HELVICK HEAD: Willow Warbler & good numbers of Chiffchaffs. 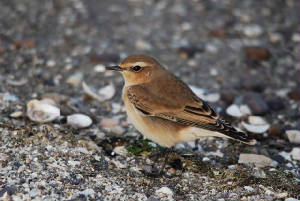 BROWNSTOWN HEAD: 12 Wheatears, Spotted Flycatcher, 3 Whitethroats, 3 Chiffchaffs, 3 Willow Warblers & 60+ Swallows (west). 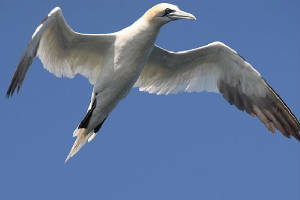 CLONEA STRAND: 2 Balearic Shearwaters close inshore with Manx Shearwater feeding flock off Ballinclamper, also 120 Sandwich Terns & 4 White Wagtails there. BALLYNACOURTY: 3 Mediterranean Gulls (2 adults & a 1st-winter). 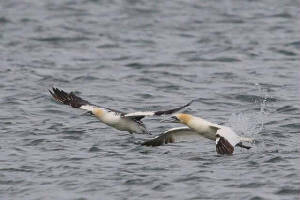 DUNGARVAN: 78 Great Crested Grebes & 45 Brent Geese outside the Cunnigar. 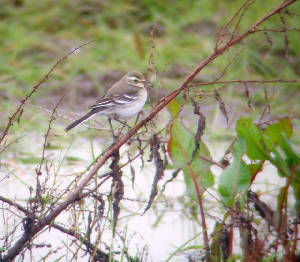 BALLYNACOURTY POINT: Yellow Wagtail at golf-course, by sewage plant, with large flock of Pied/White Wagtails. 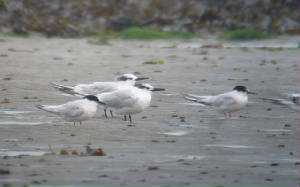 CLONEA STRAND: 3 Mediterranean Gulls (1st-winter & 2 2nd-winters) at Ballinclamper. 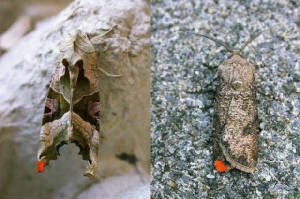 GREAT NEWTOWN HEAD: Convolvulus Hawk-moth. CLONEA STRAND: 2 Mediterranean Gulls (aduly + 2nd-winter), 140 Sandwich Terns & 4 White Wagtails at Ballinclamper, 280 Manx Shearwaters feeding offshore. 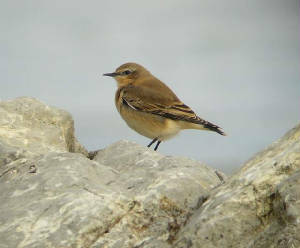 BROWNSTOWN HEAD: Spotted Flycatcher, Whitethroat, 7 Wheatears, 6 Chiffchaffs & 4 Willow Warblers. 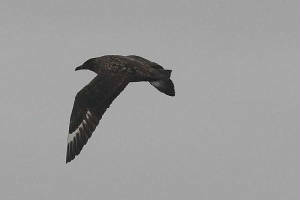 CLONEA STRAND: Balearic Shearwater & Great Skua with Manx Shearwater feeding flock offshore, 2 White Wagtails on beach, at Ballinclamper. DUNGARVAN: 10 Brent Geese at the Cunnigar. BROWNSTOWN HEAD: 2 Spotted Flycatchers, 6 Chiffchaffs & 3 Willow Warblers. 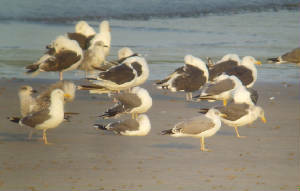 WHITING BAY: 3rd-winter Yellow-legged Gull. BALLYMACART: 2 Blackcaps (male + female). 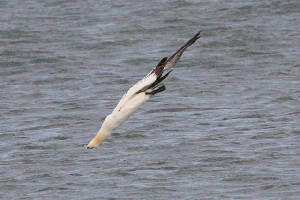 BALLYQUIN (nr Ardmore): Kingfisher & 2nd-winter Mediterranean Gull. 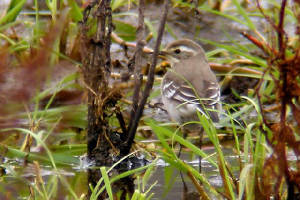 BROWNSTOWN HEAD: Spotted Flycatcher & Sedge Warbler, also 57 Painted Ladies & 615 Silver Y moths. 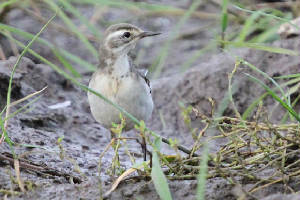 BELLE LAKE: 19 Sedge Warblers ringed, Water Rail heard. 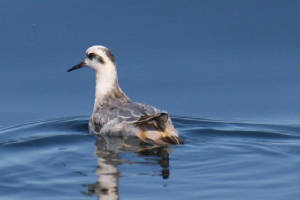 off MINE HEAD: Grey Phalarope, Arctic Skua, 20 Storm Petrels & 2 Minke Whales east of Mine Head. 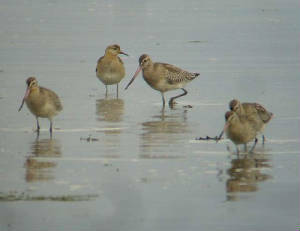 CLONEA STRAND: Juvenile Curlew Sandpiper, adult Roseate Tern & many White Wagtails. 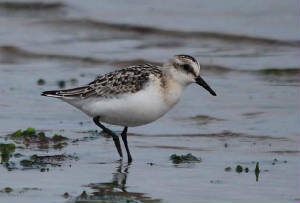 DUNGARVAN: 6 adult Roseate Terns & a juvenile Curlew Sandpiper at the Cunnigar. CLONEA STRAND: At Ballinclamper, 4 Mediterranean Gulls (adult, 2nd-winter & 2 1st-winters), 2 juvenile Curlew Sandpipers, Roseate Terns (2 at roost & others feeding offshore), 100 Manx Shearwaters & numerous White Wagtails. 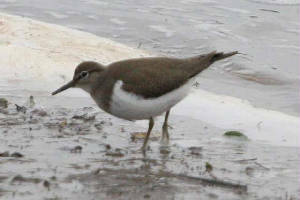 DUNGARVAN: Ruff & Common Sandpiper at Ballyneety, Brent Goose at Abbeyside strand. 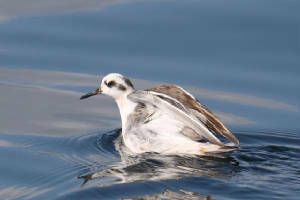 CLONEA STRAND: Juvenile Little Gull, 5 Mediterranean Gulls (2 adults, 2nd-winter & 2 1st-winters), 6+ Arctic Terns, 12 Roseate Terns (10 adults & 2 juvenile) & 9 White Wagtails at Ballinclamper. WATERFORD CITY: A seal species swam upriver under the main bridge, early evening. 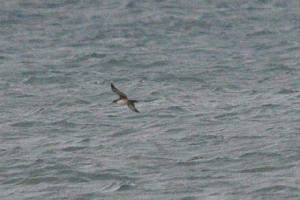 BROWNSTOWN HEAD: 175 Manx Shearwaters west (seawatch 09:10-10:10). ARDMORE: 5 Mediterranean Gulls (3 adults, 2nd-winter & juvenile). 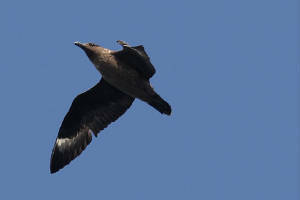 NEWPORT EAST: 20+ Stock Doves & a Whimbrel. 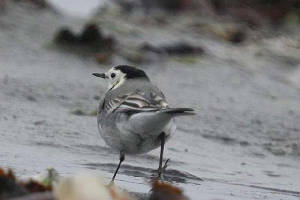 DUNGARVAN: Juv Ruff at Ballyneety, 2 White Wagtails at the Cunnigar. 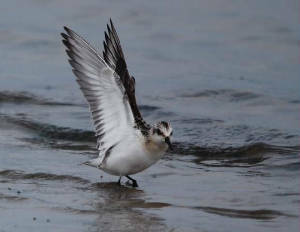 CLONEA STRAND: Juvenile Little Gull, 10 Roseate Terns (8 adult & 2 juvs), 3 juv Arctic Terns & 3 White Wagtails at Ballinclamper. 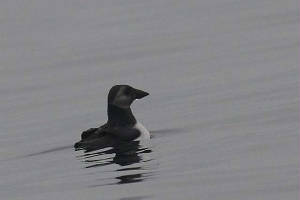 BROWNSTOWN HEAD: Sooty Shearwater west & Common Scoter east (seawatch 1:50-12:50), 2 Whimbrel. 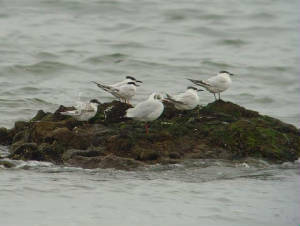 CLONEA STRAND: Adult Mediterranean Gull & 15 White Wagtails at Ballinclamper. 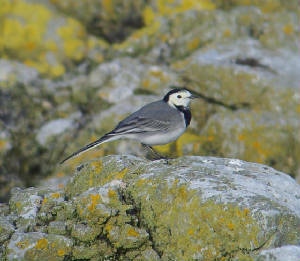 DUNGARVAN: 3 White Wagtails at the Cunnigar. 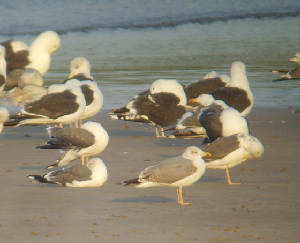 HELVICK HEAD: 130 Great Black-backed Gulls. 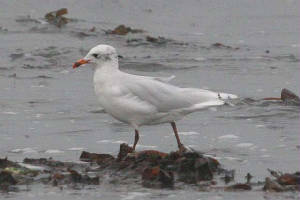 DUNGARVAN: Adult Mediterranean Gull & 9 Brent Geese at the Cunnigar. 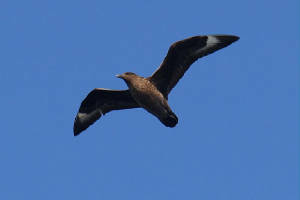 CLONEA STRAND/BALLINARD: Balearic Shearwater, juvenile Little Gull, 2nd-winter Mediterranean Gull, adult Roseate Tern & juvenile Arctic Tern at Ballinclamper / Ballinard. 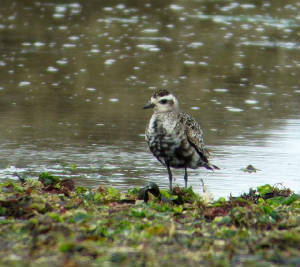 DUNGARVAN: Ruff at Ballyneety, 2 Ruff in flooded field inside promenade at Abbeyside.